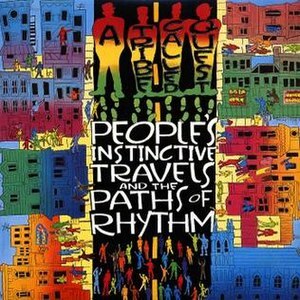 This album is the debut album from A Tribe Called Quest. The album hit shelves in 1990, at the beginning of the golden age of hip hop. The album shows a variety of different topics in a humorous way. This being the first time the group hit the scene left them able to experiment on different styles and bring a new form of hip hop to the scene. The album covers many different samples from different genres of the past. This shows the connection the group has with the past as well as an appreciation. The singles from this album include; “Can I Kick It?” “I Left My Wallet in El Segundo” “Bonita Applebum”. This classic album earned 5 mics in The Source in 1990, and was added to The Source’s 100 Best Rap Albums. This album was the groups second album released in 1991. The album shows a strong connection between jazz. The album shows a distinct connection between the two different forms of Black music, hip hop and jazz. The album lyrically shows a strong social conscience over the smooth mellow sound of jazz. 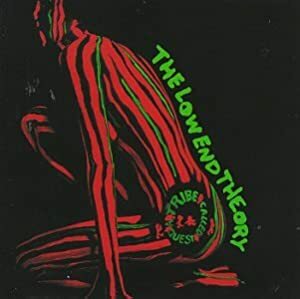 Jarobi left the group and Phife had discovered he had diabetes, so this led the group to step up their game and make these intellectual topics to the tracks. The album featured these popular singles; “Check The Rhime” “Jazz (We’ve Got)” and “Scenerio.” Rolling Stone listed it as #154 under The 500 Greatest Albums of All Time. Who is A Tribe Called Quest? This hip hop group titled A Tribe Called Quest consists of 4 members; Q-Tip, Phife Dawg, Ali Shaheed Muhammad, Jarobi. This group used their individuality and creativity to make hip hop songs and lyrics. This group formed in their high school days in their hometown of New York in the 80’s and gained their popularity in the early 90’s. Q-Tip and Phife Dawg were childhood friends and met Jarobi and Ali in high school. 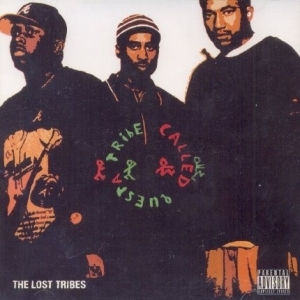 Q-Tip and Phife Dawg are the MC’s who perform the lyrics, while Ali Shaheed DJ’s. Jarobi was considered in the group because he was always with them. He goes with them on tour and sings along with the group and is responsible for the voices in the background of some their songs, but he was more of a close friend to the group.